Did You Know Alfonso Cuaron's Roma Used To Be A Jewish Neighborhood? MEXICO CITY (JTA) — Alfonso Cuaron’s film “Roma” has already won two Golden Globes, and many think it will be the first Netflix film to win the Oscar for best picture. 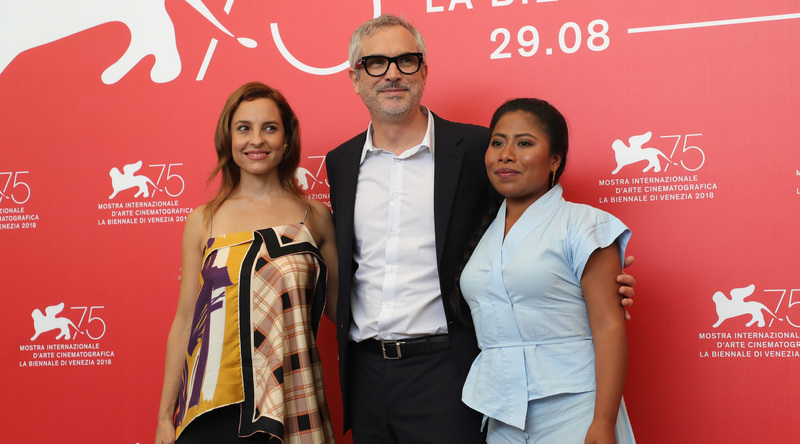 The film is set in the Roma neighborhood of Mexico City — where Cuaron grew up — and follows a well-off family and its beloved housekeeper, as they navigate life there in the 1970s, a politically fraught time for the country and the city. Not mentioned in Cuaron’s autobiographical film is that in past decades Roma used to be an important center of Mexican-Jewish life: Thousands of Syrian Jews lived in the area from the 1920s to the 1950s, creating a small version of their Middle Eastern homeland within its streets and plazas — and their legacy lives on there today. Viewers of Cuaron’s film wouldn’t know this, however, since most Jews had moved out of the neighborhood by the ’70s. The first modern Jews to arrive in Mexico City were Turkish, Greek, Lebanese and Syrian Jews fleeing the crumbling Ottoman Empire in the 1910s. They settled in tenements around the La Merced neighborhood and worked as peddlers in the city’s downtown. By the late 1920s, when poor Jewish immigrants from Eastern Europe started arriving, this first wave of immigrants had already established their businesses, saved some money and begun moving into middle-class Roma. The Roma neighborhood was formerly home to a small Aztec town in the outskirts of colonial Mexico City called Aztahauacan. On Jan. 24, 1902, Walter Orrin — an Englishman who created Mexico’s first circus powered by electricity, Circo Orrin — received permission from the city’s government to urbanize the area. He called the region Roma, in honor of Rome, the ancient birthplace of the circus, and named its streets after the Mexican cities he had visited with his show. During those early decades of development, the neighborhood became a stage where the global architectural trends of the early 20th-century — gothic, neogothic, and later, art nouveau and art deco — were given a tropical twist. Initially conceived for a European-influenced aristocracy, the neighborhood eventually became home to an emerging middle class, after the Mexican Revolution of 1910-1917. That’s when Syrian Jews started to move in. Mexico City’s Syrian Jewry is unique in that it was divided in the 1930s into two separate communities, those who were initially from Aleppo (the “Maguen David” community) and those who came from Damascus (the “Monte Sinai” community). Both communities thrived in Roma, according to a specialist on Mexico’s Jewish neighborhoods, Monica Unikel. 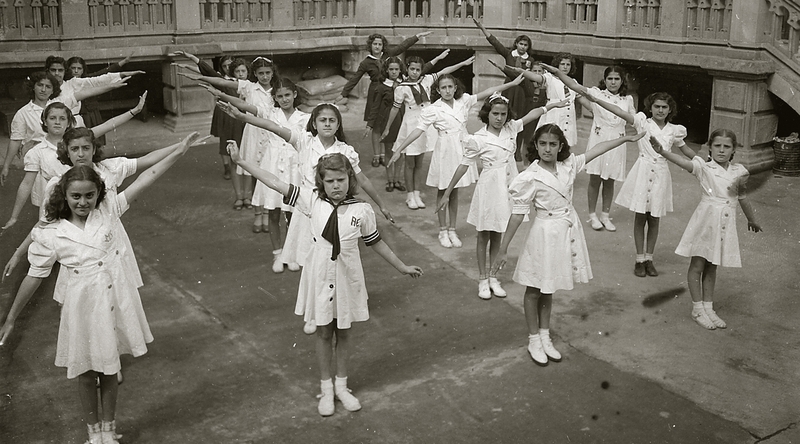 From the late 1920s to the 1950s, Roma was the epicenter of Syrian-Jewish life. The second oldest synagogue of Mexico City, Rodfe Sédek — colloquially known as Cordoba, after the name of its street, and which now houses a library and archive documenting 100 years of Jewish life in Mexico — is a small replica of the Great Synagogue of Aleppo, and was established by the Maguen David community in 1931. By the mid-1950s, at a time when the sister Condesa neighborhood was becoming the center for Ashkenazi Jewish life, a Syrian-Jewish exodus from the Roma neighborhood began. Scaling further up in society, Syrian Jews moved into the up-and-coming Polanco neighborhood and, by the early ’70s — the time when Cuaron’s movie is set — few Jews lived there anymore. In 1985, the Roma neighborhood was devastated by a massive earthquake that cost the city billions of dollars, and for a couple of decades the area remained run-down. But over the past 10 to 15 years the district has been revived as Mexico City’s epicenter of cool: Today la Roma, as it is called in everyday slang, is one of Mexico’s trendiest neighborhoods, full of hipster cafes and boutique fashion stores on every other block. It caters to many international tourists. As for the rest of the Mexican Jewish community, their exodus from the area has only intensified since the 1980s, mirroring a trend of suburbanization begun in the U.S. decades earlier. Now most of Mexico City’s Jewish life takes place in the far away Bosques and Interlomas neighborhoods, only accessible by car. There are estimated to be about 50,000 Jews in Mexico today. But despite the geographical distance, some older Syrian Jews are committed to keeping Jewish Roma alive. Every Saturday, a group of 10 to 20 Jews drives up to an hour to attend Shabbat morning shacharit (or shajarit, in Spanish) prayers in Roma’s Monte Sinaí Synagogue — colloquially known as Queretaro. Although it wasn’t finished until 1953 (due to a shortage of supplies during World War II) the massive building, which seated up to 900 people during the High Holidays, was for many years the center for Damascus-Syrian Jewish life. Inside, an impressive glass chandelier hangs from a white dome across from a golden mural depicting God’s handing out of the Ten Commandments. On a recent Saturday, the prayers extended for over three hours. During a breakfast afterwards at the synagogue, Jaime Escaba Mesdraje — who for 40 years has worked in a 70-year-old Lebanese restaurant called Miguel, a block from the Cordoba Synagogue — talked about the glory days of Jewish Roma. He has seen Cuaron’s film three times. Escaba, whose family was part of that first wave of immigrants, was born in la Roma in 1954. Although he moved to the suburbs when he was 14, he was nostalgic about the neighborhood. “[The film] brought back memories of when I used to go up to the rooftop of my house and listen to the church bells ringing … I loved that,” he said. Restaurant Miguel, once a favorite spot for Jews of all backgrounds, has been in the same location since local Jews established it in the 1950s. Despite a dwindling Jewish clientele, Jaime, who is now the owner, has no plans of moving out. But it’s not only older Jews who are visiting Roma: Some younger Jews have entered the neighborhood, attracted both by its cosmopolitan vibe and its central location. A Moishe House — in which young Jews can live rent-free in exchange for hosting Jewish events, like Shabbat dinners — recently opened in la Roma, and it has a Facebook group of 800 followers. It draws about 200 people a month to its events. One of the house’s co-founders, Jaime Azrad — a fourth-generation Mexican Jew from the Monte Sinai community — recalls growing up hearing his parents speak all the time about Merida, the street where his grandmother lived. But he grew up in Polanco and Interlomas, and he couldn’t say where the street actually was. 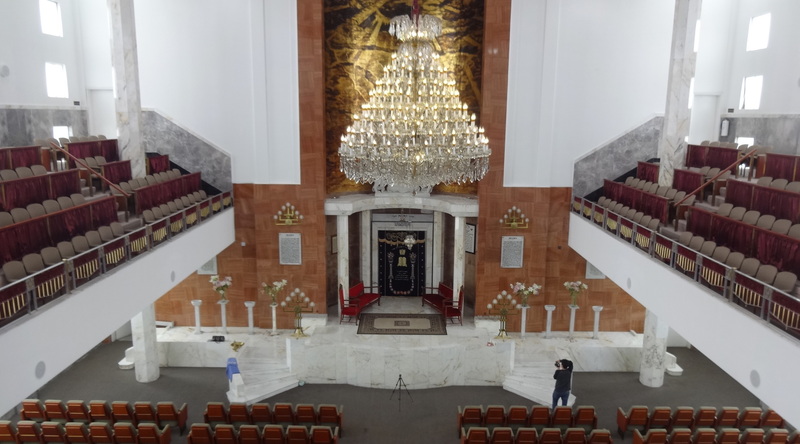 According to Azrad, there’s a group of young, mostly Ashkenazi Jews, who have moved to the Roma and Condesa neighborhoods, married and established organizations like a kindergarten and repurposed synagogue, to cater to Jewish family life. But this is not a general trend: The bulk of the community is in the suburbs, and most are not moving back into the city. The Moishe House now sits a couple of blocks away from the old building that housed the school Azrad’s grandmother attended as a child. The building is now part of the city’s University of Communication campus.